members sing together and present musical reminders of God’s great faithfulness. Tim and Becky Keep, 13 year missionaries in the Philippine Islands, shared their story at Orrville Grace Brethren Church on October 11, 2015. You will be fascinated as you hear them tell of the traumatic events that plunged them into deep uncertainty and their youngest son, Jesse, into total darkness. You will be encouraged as you hear how God led them through this experience and gave them deeper spiritual insight than ever before. Your heart will be warmed as three of the family members sing together and present musical reminders of God’s great faithfulness. 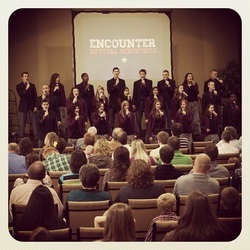 "The Old Rugged Cross Made the Difference"
We were blessed to have the 2012-2013 Encounter Revival Team at our church for a week at the beginning of October 2012. Below are the links to the videos of each service. I hope you are all blessed once again through their ministry.